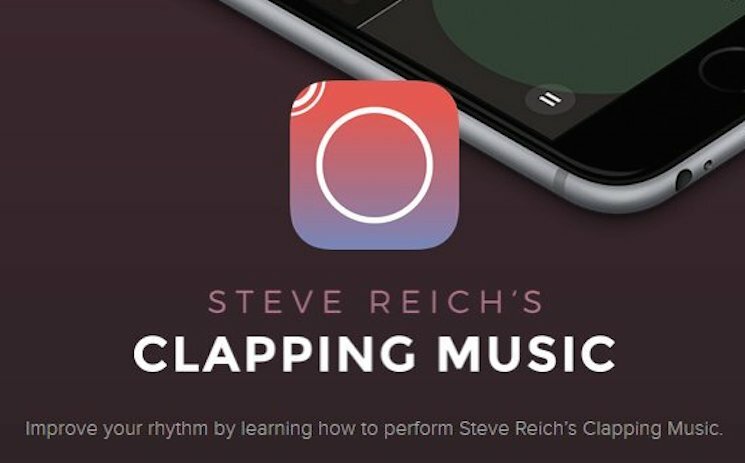 Legendary minimalist composer Steve Reich is likely not the first person you'd think of in the flashy world of mobile gaming, but his 1972 composition Clapping Music has now been adapted as a new rhythm game. As FACT reports, the videogame was conceived by the London Sinfonietta and developed by Touchpress and the Queen Mary University of London. The university is researching whether or not games can teach people musical skills and engage with the arts. There's also a survey as part of their study, available here. Further, if you achieve a high enough score, you could be given the opportunity to perform Clapping Music onstage with the London Sinfonietta. As one might expect from a piece called Clapping Music, the composition is entirely performed by clapping. Two performers clap the same rhythm, and one shifts it slightly so that they become offset. They continue until the two rhythms line up again. If you're up for the challenge, you'll find the Clapping Music game in the iTunes App Store now.